Before he was a multi-millionaire celebrity hell bent on making fun of other multi-millionaire celebrities, Ricky Gervais was best known as David Brent, an imbecilic paper company manager from Slough. The Office was a breakthrough success internationally, and Gervais is set to revisit his character with a new film. 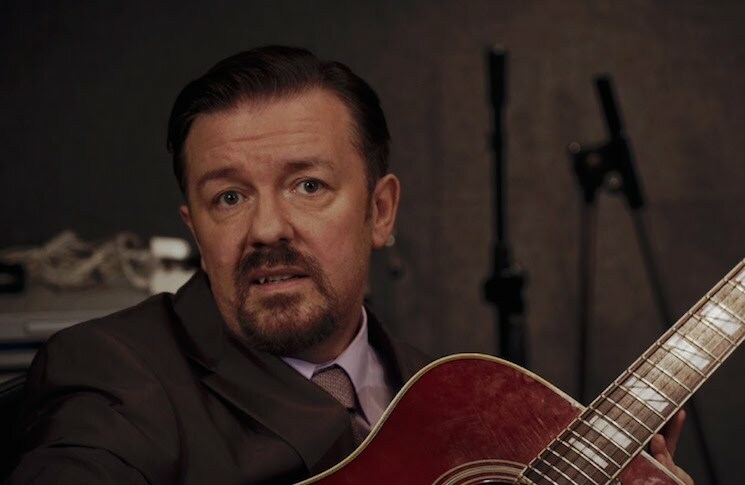 The long-rumoured project is called Life on the Road, and will be a feature-length exploration of David Brent as he tries to raise money to bring his band Foregone Conclusion on a UK tour. In a press release, it was revealed that Life on the Road will be financed by BBC Films and Entertainment One. "I'm so excited that the world will see what David Brent is up to now and where his future lies," Gervais said. "This film delves much more into his private life than The Office ever did and we really get to peel back the layers of this extraordinary, ordinary man." Gervais previously revisited David Brent with a YouTube series called Learn Guitar with David Brent. He also allowed the character to make a brief cameo on the American version of The Office. Watch David Brent perform Foregone Conclusion's "Free Love Freeway" below.